There are other uses for trusts. 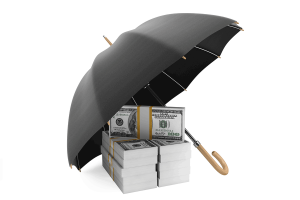 These include asset management or avoiding probate and/or creditor protection. Trusts can also be created to care for minor children, for charitable purposes or used for the purpose of holding real property outside the state of New York, thus enabling the family to avoid probate in a second jurisdiction. A trust can also be beneficial if family members have lost trust with one another. If these family members turn out to be heirs, the probate process could be long and drawn out while efforts are made tracing those family members. When the assets are held in a trust, there is no break in administration while locating missing heirs. However, all trusts require careful drafting to accurately affect the grantor’s wishes, keeping in mind the federal and state laws that control them. Diron Rutty estate planning attorneys can explain the different trust options and advise as to which one is best for your situation. Other trusts can help reduce estate taxes. Although the federal tax threshold has increased enormously, there is still a New York estate tax. Also referred to as Living Trust or Inter Vivos Trusts, a revocable trust allows you to retain control of all the assets in the trust, and you are free to revoke or amend the terms of the trust at any time. A living trust can help you prepare for mental disability, place assets in a trust at the time of your death and avoid probate to protect the privacy of your property and beneficiaries after you die. It is important to understand that certain kinds of trusts offer no creditor protection if you are sued, and all of the trust assets will be considered yours for Medicaid planning purposes. You will also be taxed for estate tax purposes and all assets held in the name of the trust at the time of your death will be subject to both state and federal estate taxes and state inheritance taxes. The estate planning attorneys at Diron Rutty, LLC, will guide you through the process of deciding which of the trust options best fits your needs. An irrevocable trust is simply a trust that cannot be changed or revoked after the Trust agreement has been signed, or is a revocable trust that by its design becomes irrevocable after the grantor dies. The assets no longer belong to you, and you cannot make changes without the beneficiary’s consent. But the appreciated assets in the trust aren’t subject to estate taxes. Irrevocable trusts can take on many forms and can be used to accomplish a variety of estate planning goals, such as reducing estate taxes, protecting assets, or for charitable estate planning purposes. A Testamentary Trust does not go into effect until the grantor dies. This type of trust is usually made within a will and, when created, is utilized as a trust for minors. Upon the grantor’s death, the trust becomes irrevocable. The grantor, therefore, has the power to amend or make changes to the trust until his or her death. These are commonly used to remove the value of life insurance from your taxable estate, transfer it into an irrevocable trust, and relinquish control to the Trustees and Beneficiaries of the trust so that the property cannot be taxed when the individual dies. If the policy is removed from the estate, ownership rights are surrendered, which means the grantor may no longer borrow against it or change beneficiaries. The proceeds from the policy may be used to pay any estate costs after death and provide beneficiaries with tax-free income. With a credit-shelter trust (also called a bypass or family trust), one spouse is allowed to pass the property and assets he or she owns at the time of death to the surviving spouse without the property being taxed. The couple sets up an AB Trust system under the couple’s Last Will and Testament which will shield the assets of both spouses from federal estate taxes when they die. In order to take advantage of the estate tax break, both spouses must set up the “A Trust” referred to as “Marital Deduction Trust”, “Marital Trust” or “QTip Trust”. The amount of deduction is used to fund the “B Trust” which is also commonly referred to as the “Bypass Trust”. Once the money is placed in a bypass trust, it is forever free of estate tax, even if it grows. When the first spouse dies, the assets specified by the settlor-spouse pass to the marital trust free and clear of all federal estate taxes, with neither the settlor-spouse nor the surviving spouse paying estate taxes on that property. When the surviving spouse dies, the assets in the trust are not included as part of his or her estate, and so the federal estate taxes are not as high as they would have been if there had been no trust. If the value of the deceased spouse’s estate exceeds the estate tax exemption, the A Trust will be funded for the benefit of the surviving spouse and payment of estate taxes will be deferred until after the surviving spouse dies. There are several requirements that must be met, and it is important that you understand the federal tax laws before preparing a marital trust. If you are considering a marital deduction trust, seek the advice of estate planning attorneys who will help you and your spouse set up the AB Trust. Another common use of an irrevocable trust is to accomplish charitable estate planning, such as through a Charitable Remainder Trust or a Charitable Lead Trust. The charity must be approved by the IRS, which usually means it has tax-exempt status under the Internal Revenue Code. The charity serves as trustee of the trust, and manages or invests the property so it will produce income for you. If the grantor makes the initial transfer of assets into a charitable trust while still alive, then the charity pays the trust maker a portion of the income generated by the trust property and the grantor receives a charitable income tax deduction in the year that the transfer is made. Or, if the initial transfer of assets into a charitable trust doesn’t occur until after the grantor’s death, then the grantor’s estate will receive a charitable estate tax deduction. A Special Needs Trust is created to enhance the quality of life for a disabled person and enable the person with disability to continue to receive financial assistance without becoming ineligible for governmental benefits. A supplemental needs trust when created for persons with disability becomes important as it allows the disabled person to obtain or retain Medicaid while using part of their funds from a gift, an inheritance, or a settlement of a legal action. Deciding on what kind of trust is best for you depends on your personal preferences, priorities, and your particular family situation. Wills and living trusts can accomplish the same goal in that they both distribute your assets to those you select after your death. However, a living trust can do so far more efficiently, more privately, and often much less expensively. Not surprisingly, a combination of the two is a popular option. In other words, you set up a living trust and also write and properly execute a will that applies to any assets left out of the trust. There are, however, factors such as your age, your health, your income, the value of your assets, the type of assets that you own and your marital status which should be used to assess your situation. Before deciding if you need a living trust or a will, consult with one of the estate planning attorneys at Diron Rutty, LLC and they will assist you in making the right plan for your estate. If you would like to discuss living wills and trusts, you can contact us at 718-324-0404 in New York City, 845-849-9201 in Poughkeepsie, NY, use the form below, or email us at info@DironRuttyLLC.com.